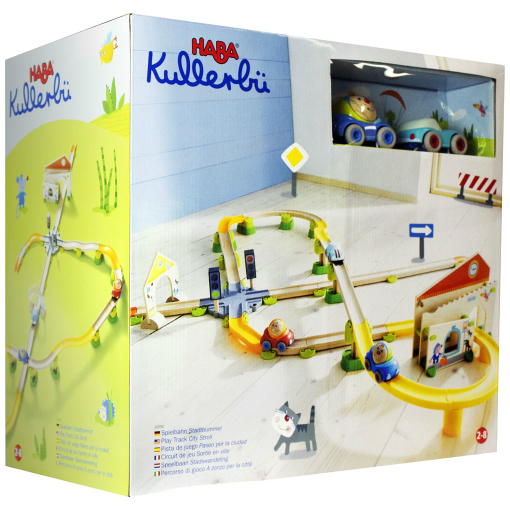 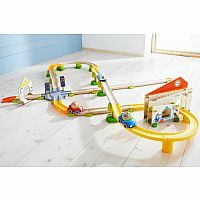 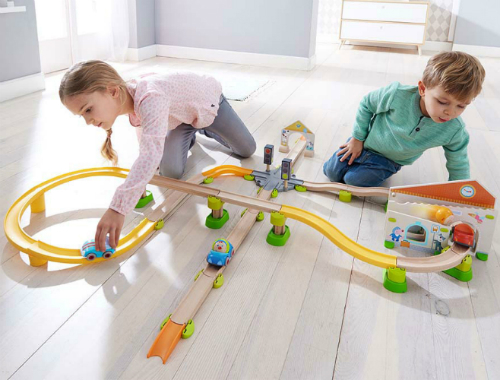 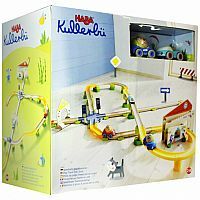 The Kullerbu Play Track - City Stroll Set is beautiful and sturdy enough to be passed down, after years of creative, imaginary fun. 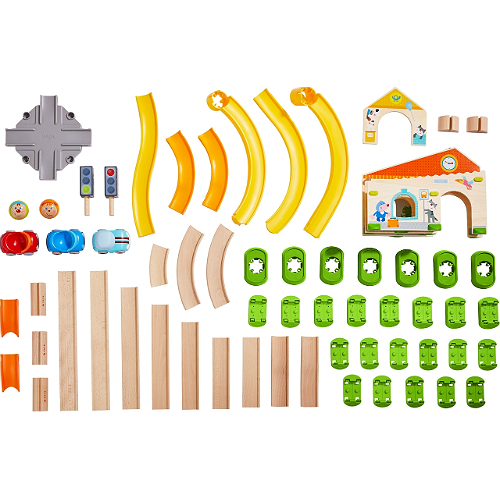 The 51 large, indestructible pieces are made with a mix of wood and high quality plastic, and assemble with a click. 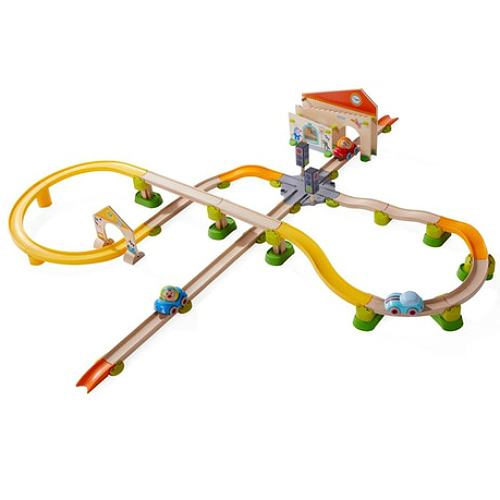 Lots of ramps and curves challenge 3 little speedsters around the track. 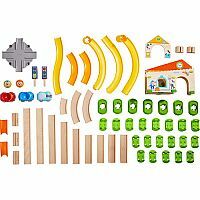 This makes a great standalone set, or a great addition to another Kullerbu set. 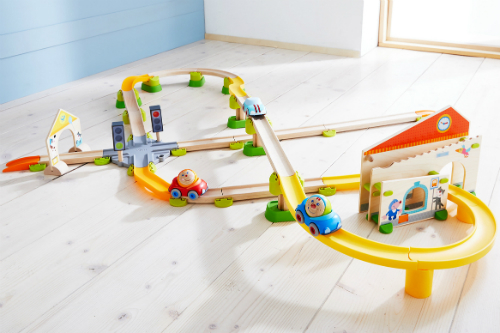 Measures approximately: 18.50 x 16.75 x 10.00 inches..